With its timeless and understated appearance, this romantic pink ring will put a subtle touch of glamour to your everyday look. 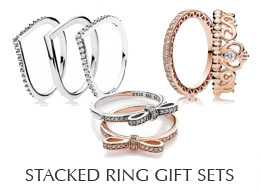 Stack it with other sparkling pieces to enhance the glitzy look. PANDORA Alluring Brilliant ring in PANDORA Rose™ with 18 bezel-set brilliant-cut clear cubic zirconias.